If you are knowledgeable in operating and using a Cricut machine, perhaps you are now looking for some Cricut projects to sell in order to make some money. Actually, learning how to make Cricut projects or crafts that you can sell takes a lot of research, patience creativity, effort, and of course time. But one thing is for sure, creating Cricut projects is very fun. However, for those who are new to Cricut machine, it is a cutting machine that regularly used for making a scrapbook, signage, classroom decoration, and more. Not only that, it is also a valuable equipment that can help you to earn money even if you’re at home. Either way, whether you’re new to Cricut or already made lots of Cricut projects, look no further because this article is for you. 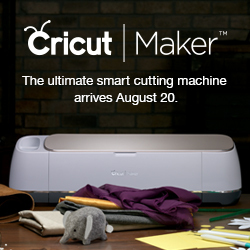 In this article, we will be listing 10 Cricut projects that will surely give you some money. Established the colors you would like to implement for the strained lines. On your screen, follow the instructions on how to draw and cut the image. After cutting the image, you can put the design you want. But make sure do not put unnecessary things because it may affect the final look of your gift tag. Prepare all the needed materials mentioned above. Cut the vinyl to fit on the Cricut cutting mat. Afterward, attach the cut vinyl to the cutting mat, in this project you can utilize a 12 by 12 standard grip mat. Make your own image but first measure the tumbler so that you will determine how large the image is. Prepare the glue foil image using Cricut essential equipment to eliminate unnecessary things from the tumbler. Place a tape (Cricut Transfer Tape) on top of the adhesive foil. Place the transfer tape together with the adhesive foil on the tumbler. Then peel the transfer tape slowly. Look for a ready-made design in Design Space Cricut software. Since we are making butterfly lampshade, look for butterfly images. Cut the butterfly pictures in two sets on iron-on vinyl or white glitter. When designing always select the “mirror design”. Place the glossy side of the vinyl downwards then established the custom dial to cut and iron-on your design. To add a 3D effect, cut out butterflies from the vellum or cardstock. Use the glue gun so that the vellum butterfly will stick on top of the cardstock butterfly. Select how to mark your planner pocket. If you’re creating a double-sided planner pocket, make sure to glue the two pieces together facing on the right side. By utilizing the software called Design Shape, pattern the dinosaur shapes. Size them to 1.25 inches or you can change it depending on the size of the available wooden squares. Remove the shape of the dinosaur from the vinyl using the weeding tool. Once you have downloaded a quotation, cut your chosen quotation using a Cricut machine on an iron-on vinyl. Using the weeding tool, weed the quotation. Afterward, place the quotation in front of the canvas banner. Place the vinyl sign in the middle part of the pillowcase then iron it. Finish it, by sewing the pillowcase but make sure to insert a pillow first before you begin to sew. Using the Cricut maker, cut out the iron-on vinyl. Make sure to place the vinyl on the glossy side of the mat. Cut out the stroked, once the iron-on is finished. Upload the project then press the “Make It” button, then the Cricut Maker will do the rest. Once all the petals are glued, place them on the circle base using glue sticks. Once you have finished creating your own shape click the “Go” button then go to “Custom” setting to cut out the shapes. Lay the pieces on a flat surface. After drying the sculptures, you can paint them to make them look more appealing and attractive. There you have it, the 10 Cricut projects that you can sell to earn more money. As a matter of fact, with Cricut machines, you will be able to make countless of fun projects especially if you have unlimited ideas and wide imagination. Nevertheless, we hope that this list of Cricut projects will help you a lot.